Chicago Boiler Company, recognized today as CB Mills, is a leading global provider and manufacturer specializing in various processing equipment such as mills, tanks, washers, grinding equipment, and much more. Chicago Boiler offers over 120 years of experience in its field and focuses on continuous improvement and innovation within its equipment line. Chicago Boiler provides a range of equipment, including custom fabrication to ensure the ideal options for today's markets. EquipNet is constantly receiving used Chicago Boiler equipment through our exclusive contracts with our clients. 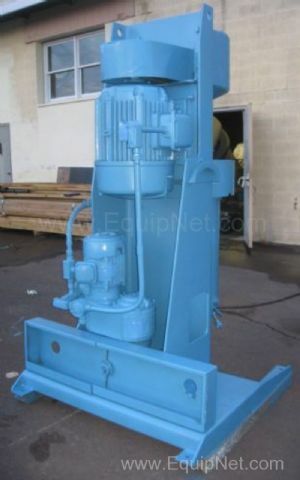 Our inventory of used Chicago Boiler equipment includes media mills and more. If you don't see the used Chicago Boiler equipment you are looking for, call one of our representatives and we will find it for you. We can also source the right tooling and change parts that you need through our huge network of corporate clients around the globe. Chicago Boiler media mills are offered in a wide variety of models and sizes. EquipNet carries an abundance of Chicago Boiler media mills, including the Red Head 16P model, which is designed for grinding and dispersing paints, inks, dyes, etc. Chicago Boiler media mills are well known in the market for quality and dependability based on its experience and success.